This dinner reception is free but an RSVP is required. Click here to RSVP. Service and sacrifice spanning more than three centuries are honored in the first and only known national memorial to American Indian veterans of many conflicts. The memorial consists of several sizable sculptures by acclaimed Native artists. Free and open to the public. For more information on the planned events, email Marcus Monenerkit at mmonenerkit@heard.org. 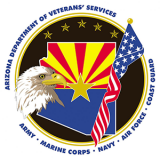 If you experience any problems with our online registration, please call 602.252.8840 and we can register you then. Thank you.